We are committed to assisting Puerto Rico and Relief NOW has proven its effectiveness. Volunteers from Renovatio PR, a Puerto Rico-based fintech incubator, joined Relief NOW over the Thanksgiving holiday to provide food and other needed supplies to Puerto Rican residents still suffering in the wake of Hurricane Maria. "There are still many communities that have not been fully served by other relief organizations," said Adriana Ramos, a Renovatio PR analyst who currently devotes all of her time to Renovatio PR's Puerto Rico relief efforts as part of her company's commitment to the island. "Working with Ginny Pinero-Pares and the other Relief NOW volunteers is a great opportunity to make a meaningful impact on real people's lives at a time when it is still badly needed." Relief NOW is a not-for-profit organization founded by Ryan Fitzmorris, whose childhood neighborhood in New Orleans was among the hardest hit by Hurricane Katrina. Relief NOW has now completed four missions to Puerto Rico, providing food and supplies to over 10,000 people. "We are committed to assisting Puerto Rico and Relief NOW has proven its effectiveness," said Bo Collins, Renovatio PR's Chief Executive Officer. "We look forward to further opportunities to assist as they continue to support communities in need." Founded by a Hurricane Katrina survivor, Relief NOW is a not-for-profit organization dedicated to immediate assistance and aid to communities hit by natural disasters. Unifying communities and corporate resources, Relief NOW focuses primarily on immediate burdens brought in by the aftermath of crisis, allowing first responders and survivors to focus on matters both more pressing and long term. Contact us on Facebook for volunteer opportunities. Donate directly at GoFundMe. Founded in 2016 by Bo Collins, Renovatio PR is a conduit that accelerates a startup’s ability to develop innovative solutions. The company applies its fintech expertise to incubate technology, particularly around Bitcoin, blockchain and other crypto assets. Driven by blockchain infrastructure and smart contract applications, Renovatio PR is converting classic financial solutions into lucrative business opportunities. By setting a foundation for a new Silicon Valley in Puerto Rico, Renovatio PR is attracting innovative startups and helping them promote their products or ideas to ensure their success. 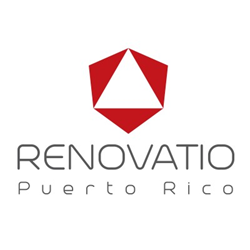 For more information, please visit renovatiopr.com.